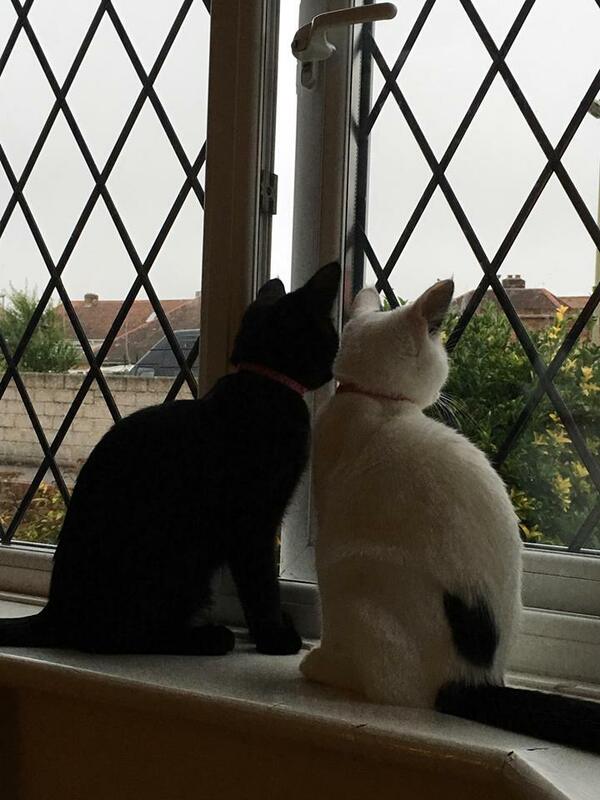 Coco & Cleo were born on 09/03/16 to a gentle natured cat who was signed into CP care when heavily pregnant. 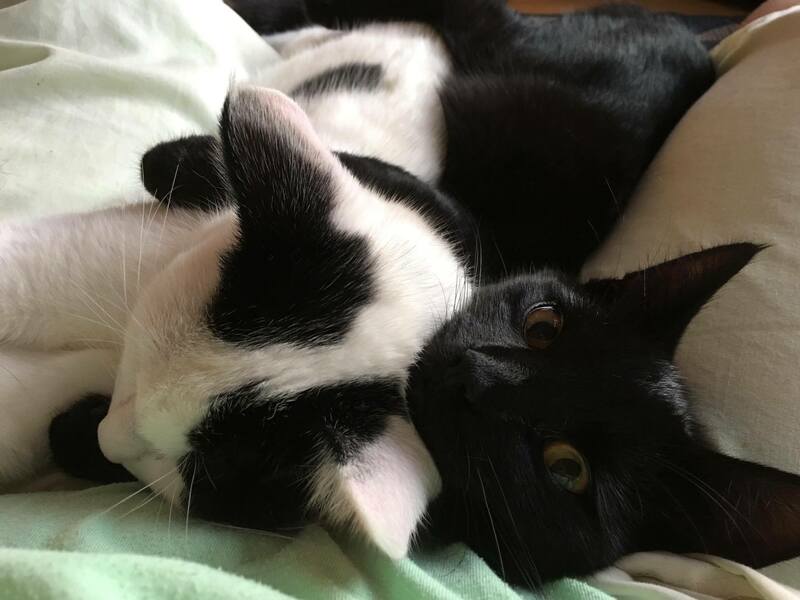 This pretty duo were adopted by Wendy and family in May and they are getting on brilliantly in their new home. After their first week at home, Wendy says they have settled just fine and are getting to know the other two cats already in the home. Coco & Cleo have made themselves very much at home with Wendy and clearly they're having great fun with their toys. What a difference a year makes! These two kittens are all grown up but still completely adorable and bringing joy to their family. Wendy says "Hi, just thought you might like a update on Coco and Cleo a year after we adopted them. They are as different in temperament as they are in colour! Coco (black) is very laid back loves a cuddle, quite chatty and is quite independent, she loves being outside rain or shine and brings us lots of presents !! Not always very nice ones though, and mostly alive, so we relocate birds, mice and frogs on a regular basis . Cleo is quite highly strung and definitely doesn't like cuddles although she loves sitting on my lap (only mine) but funnily enough she is very needy and likes to know where we all are. She doesn't stray far from home and likes to sit in the window and talk to the birds. We very sadly lost our two old boys within 4 weeks of each other earlier this year so having Coco and Cleo around has been a blessing x "